Over the past 26 months, we have not yet filled this garbage can 3 times. Once filled, it will only hold what cannot be recycled or composted, including the plastic and paper that holds cheese and fish. We do not get plastic bags for the fruit we buy but place everything in our own grocery bags. When the can is full, I strap it onto the bicycle and bring it to a place about 2.5 km from our home, where I can empty it for a fee of $5. 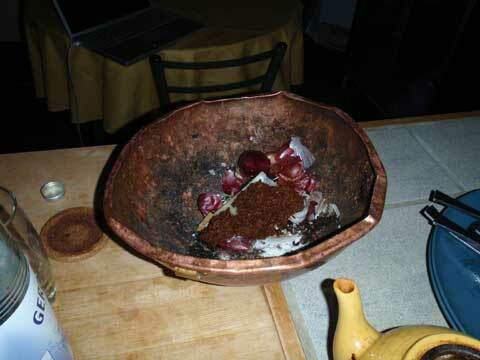 In the kitchen, it starts with the scraps -- everything including fish bones and skin, cheese rind, coffee grounds, etc goes into this copper bowl. From there it will go into one of the green cones featured below. 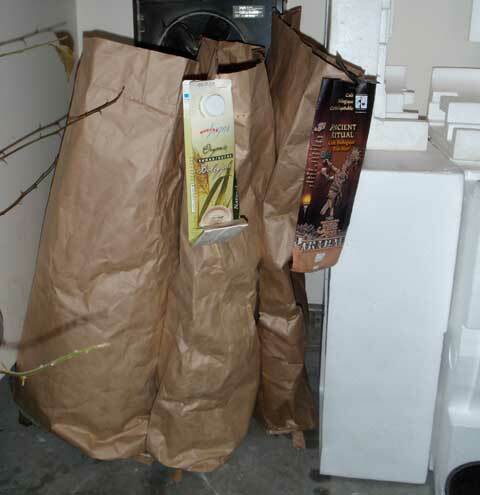 This system conains soft plastics, tetra packs (e.g., soy milk containers), and lined bags (e.g., the coffee bags). From here, we bring them to one of the collection sites where we pay about $3 per bag of recyclables. 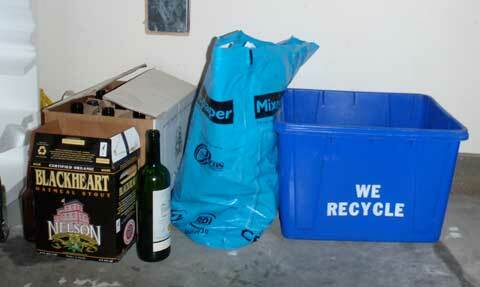 Whatever can be recycled goes into the bottle (liquor store), paper, or plastic/glass storage. I bring corrugated cardboard to a nearby collection site, placing the stuff on my bicycle trailer and unloading it into the collection bins. Alll kitchen scrap goes into one of these green cones. It takes about 1 year to fill one. When it is filled, we do the next one, leaving the first cone alone through the summer. 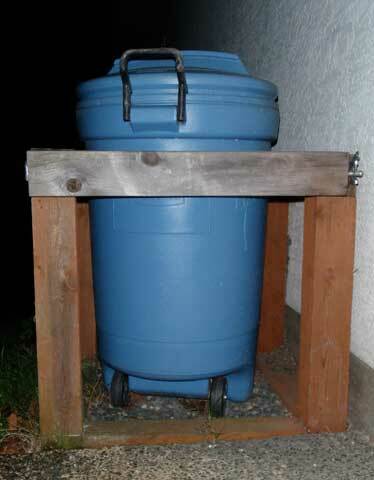 From there, it will then transfer into the middle section of the three bin system featured below. 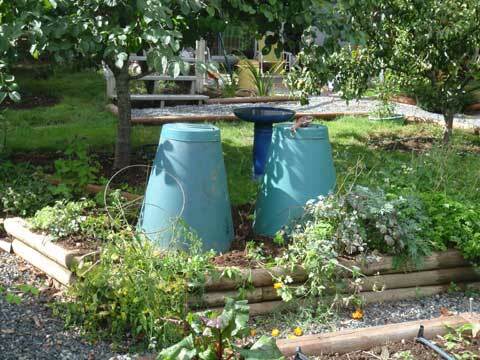 This three-bin system is for garden wastes. The raw materials go into the left bin. When it is filled, the contents are moved into the second (middle) bin. Here will also be added the contents of the green cones after these have spent a year in the cone plus another summer season. 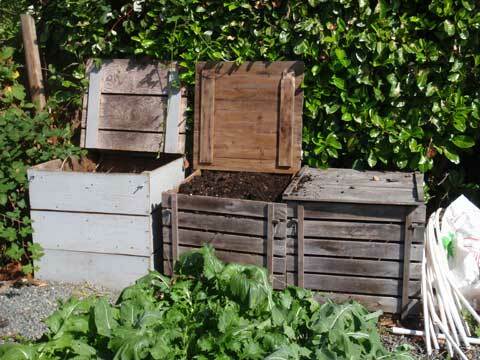 The contents are then transferred into the third bin from where they go back into the garden -- generally the tomato and pepper plants are treated with a gallon each.